This residential home is located in the Cascade neighborhood of Big Sky, Montana, which is situated nearby Big Sky Ski Resort. 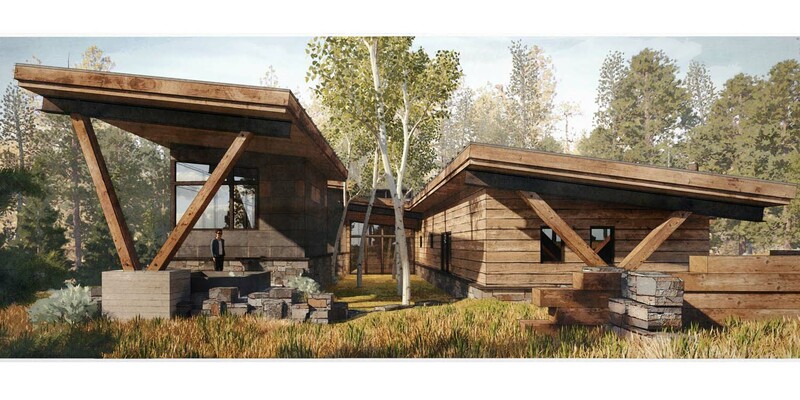 The design of the Dogwood house was based on the existing low sloped site and the views to Lone Peak, Fan Mountain, and the surrounding Spanish Peaks. Mono-slope roofs cover private programmatic wings that spread out from the public core of the house allowing the maximum amount of spaces to open up towards the mountains. The roof lines in combination with materials of stone, wood, steel, and glass creates a modern mountain home that fits perfectly in the Montana landscape.